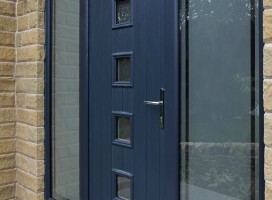 Complement your new or replacement composite door with a matching full or half height composite side panel, either solid or with glass. Available in any of our colours, inside or out. 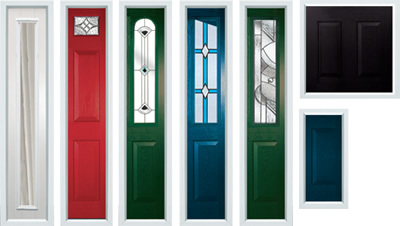 We can also manufacture, supply and install top lights to match your chosen composite door design. All side panels and top lights are fully welded and reinforced, feature the same 48mm thick solid timber core, durable plastic edge banding and 2 thermo plastic skins for security and strength. 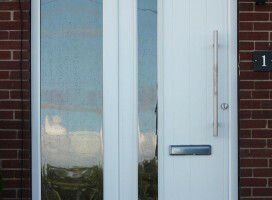 They are also fitted with energy-efficient Pilkington KS glass. 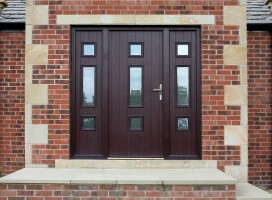 Flint 1 composite door in Rosewood with Star glass and integrated side panels. Harlech 2 composite door in Black with Jewel glass and side panel. 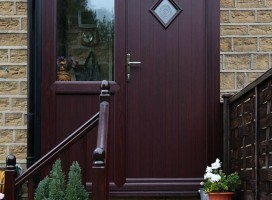 Italia Collection Bologna composite door in Rosewood with integrated side panel. Brescia composite door in White with frosted Cotswold glass and integrated side panel. 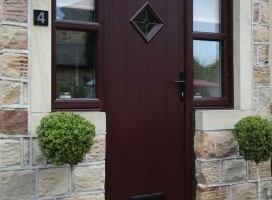 Genoa composite door and integral side panels in Rosewood with satin glass. Genoa composite door with integrated top and side lights in Grey with etched glass design. Bespoke composite door in Grey with integrated top light and side panels. Milano composite door in Chartwell Green with ES3 door handle and integrated side panel. Palermo composite door in Irish Oak with integrated side panels. 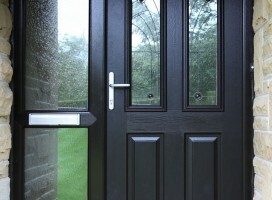 Pisa composite door in Black with Abstract glass and integrated side panels and top lights. Turin composite door in Cream with Royale glass, integrated side panel and cat flap. Ludlow 2 composite door in Golden Oak with Simplicity glass and integrated side panel. 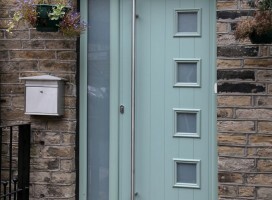 Ludlow composite door in Chartwell Green with Abstract glass and integrated side panel. Ludlow composite door in Rosewood with Autumn Leaf glass and shaped integrated top light. White Biella composite doors in French door style with side panels. Messina composite door in grey with ES 24 door handle and integrated side panel. Milano composite door in Grey with top light and side panels in one frame. Grey Palermo composite door with integrated top and side lights and satin glass. White arched Beeston composite door with integrated side panels. Flint 3 composite door in Painswick with side panels installed in Honley, Holmfirth. 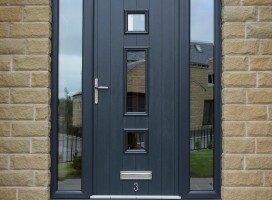 Ludlow 2 composite door in Black with Prairie glass and integrated side panels. White Tenby composite door with side panels and Royale glass, fitted in home in Elvington, York.